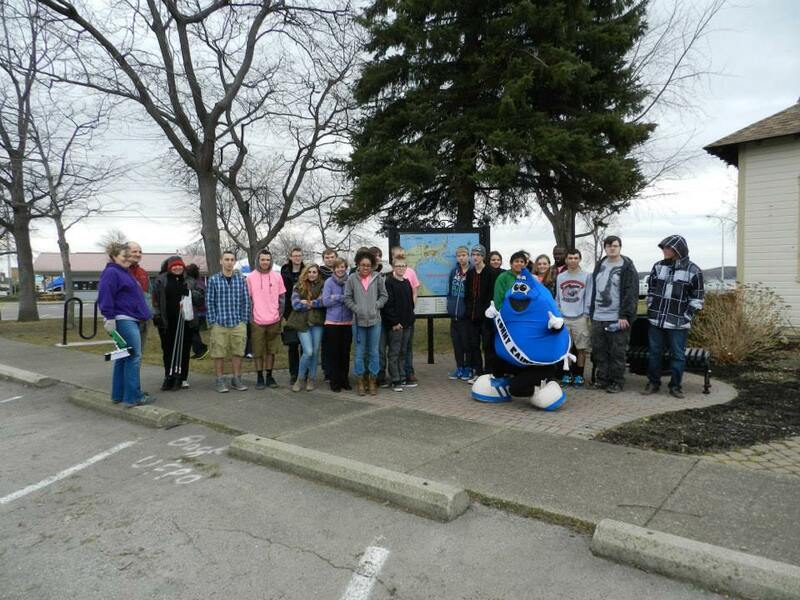 Sodus Central Students 9-12 visited Sodus Point to help in the protection of Sodus Bay. 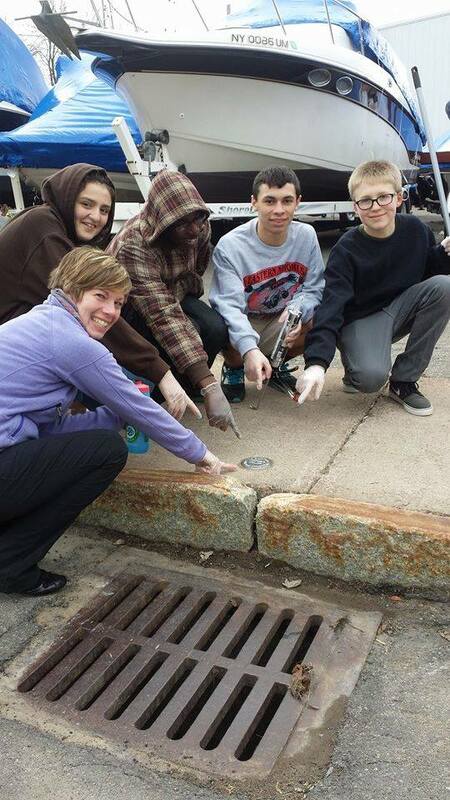 The students permanently adhered stainless steel markers next to storm drains. Markers have a “Only Rain Down the Drain” message reminding citizens to keep our waterways clean. Stormwater runoff is rainwater that flows over land and directly into local creeks and eventually into water bodies. Stormwater pollution finds its way into waterways where we fish, where we swim, and what we drink. 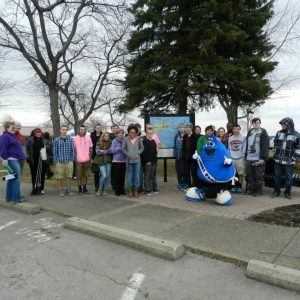 Everything that goes down our storm drains like – pet waste, grass clippings, fertilizer, pesticides and litter eventually wind up in Sodus Bay. Nutrients such as phosphorus and nitrogen can promote the overgrowth of algae, deplete oxygen in the waterway and be harmful to other aquatic life. Bacteria from animal wastes and illicit connections to sewerage systems can make nearby lakes and bays unsafe for wading, swimming and the propagation of edible fish.